Whether you’re the owner of a shiny new Toyotas or a used vehicle of some other make and model, getting your oil changed is one of the most important responsibilities you have as the owner of a vehicle. The rule of thumb used to be to get your oil changed every three months or 3,000 miles, whichever came first. New engineering and research has changed that common wisdom, though, and it’s generally agreed that most vehicles are okay with getting an oil change around every 5,000 miles. These intervals can vary slightly depending on the vehicle, though, so it’s important to check your owner’s manual or get in touch with your St. Augustine Toyota service center to make sure you know the particulars for your make and model. Oil is the lubricant that prevents excessive friction between the pistons and the inner walls of the housing. If you wait too long to get your oil changed, the oil can run low or get filled with debris. When that happens, excessive engine heating can occur, decreasing the performance and efficiency of the vehicle and putting you and those around you at risk. While some people enjoy DIY projects like changing their own oil, many simply prefer the speed, convenience, and professionalism of a certified service center. At Beaver Toyota St. Augustine, you can easily schedule an appointment for your next oil change, bring your car in, and be back on the road in no time! And before you do, make sure to check out our current service specials for any deals we’re currently running. Our service center is located in St. Augustine, FL, and you can always contact us with any questions about Toyota oil changes. We can even help you find things to do for New Years in Palm Coast. Buy 3 Tires and Get the Fourth for $1! Coupon must be presented at time of write up. Coupon must be presented at time of write up. Not valid with any other offers. 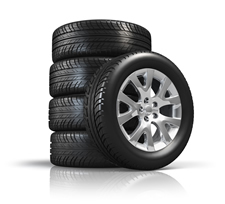 Get $15 OFF any oil change & tire rotation service! See dealer for details. Some exclusions apply. Cannot be combined with any other offers. Applies to conventional oil change or synthetic. Valid only through 04/30/18. Get $10 Off an Oil Change! Excludes tire purchases. Valid only at Beaver Toyota St. Augustine. See dealer for complete details. Valid for 30 days. See dealer for details. Some exclusions apply. Cannot be combined with any other offers. Must present coupon at time of write-up. Valid only through 04/30/18. 0 comment(s) so far on When Should I Get My Oil Changed?